Missed the 2018 Higher Ed Analytics Conference? If you’ve attended any of the 5 previous editions of this conference, you know that the HEA Conference is to higher ed digital analytics what the Super Bowl is to football – with new and returning players but always a brand new game! We saw the A-game of the 12 players from the 2018 edition of the Higher Ed Analytics Conference on V-Day and it was love at first sight! The conference has many, many practical learning outcomes but a unique goal: to help you show that YOUR work matters at your school. 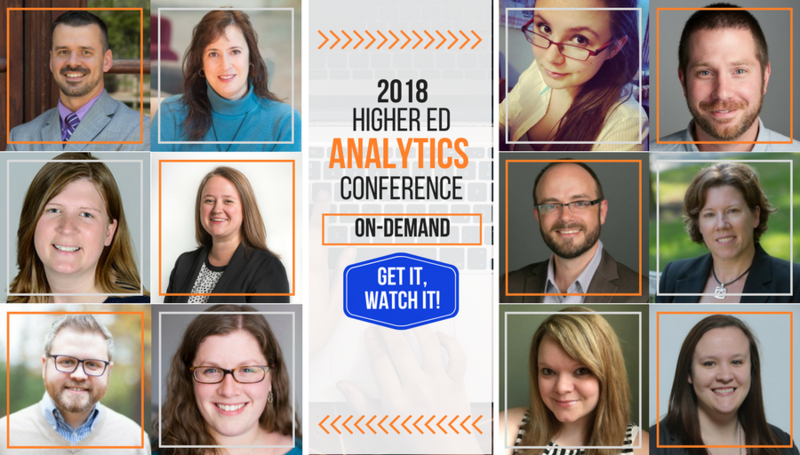 So, what will your team learn by watching the 2018 Higher Ed Analytics Conference on-demand? practical examples on how to go beyond vanity metrics on social media. Interested? Get a 12-month on-demand pass for your team to watch the 2018 Higher Ed Analytics Conference.